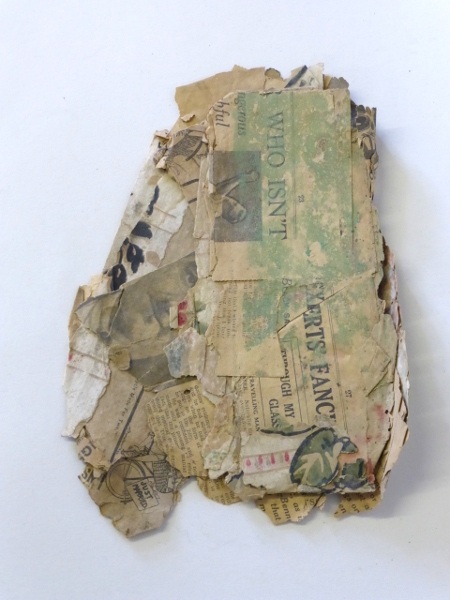 This fragment of paper note date 1934 was taken off a wall of a very old cottage in Wales. Because some cottages walls were so uneven in the old days because they were built with mud and horse hair the occupants used to paste newspaper under the wall paper. (Hence this fragment which was taken out of my mother’s cottage). Arran’s Great Grandmother. Note the pieces of some adverts on these pieces.